Best place to stay in Galway! Bridie et George sont très accueillants. Ils ne sont pas avares de sourires et de conseils très judicieux. Nous avons passé un agréable séjour à Sli Na Mara. Le B&B est très bien situé dans un quartier résidentiel calme, entre centre ville et promenade du bord de mer. Les chambres sont très bien tenues et confortables. Le petit déjeuner a été à la hauteur de nos attentes qu'il s'agisse de la version continentale ou typically irish. GO CONNACHT ! Lovly room in a great location, easy walking distance to the main city area. Bridie is delightful, very chatty and helpful with advice on where to go and what to do. Breakfast was very nice too, and they had no problem catering for my gluten free needs. The hosts were very welcoming and hospitable. They very kindly provided a breakfast to go for two of us who had to catch an early train. The other two enjoyed a delicious cooked breakfast in the dining room. Sli Na Mara is convenient to walk to Galway City center, offers a wonderful breakfast and we received wonderful advice on the local area. Thank you George and Bridie for a perfect stay! We had a great time here! The B&B is in walking distance to the city. The rooms are nice and Birdie and George are just lovely. We would definitely book Sli Na Mara B&B again! Clean, comfortable room in great location short walk to ocean and city center with good parking. Excellent breakfast served hot in a nice dining room. Bridie and George were most friendly and helpful. Wonderful family. Great value. Stay here. Absolutely wonderful stay at Sli Na Mara. Easy to check in. Easy to get to town. Great breakfast, served warm with tons of options. We would recommend to anyone we know going to Galway! We had a great time. Thank you for everything. The location is great, just 10 minutes walking from the city centre, in a nice and quite area. The owner is delightful and helpful, and the breakfast was amazing full Irish, highly recommended. The room was cozy, clean and warm, very spacious and fully equipped. Very nice place for a more than decent price. Surely we will repeat if we come back to the city. Everything here was simply lovely. The room was perfectly clean with a comfortable bed. The shower was hot with good pressure, something we'd been lacking at our other stops in Ireland. Bridgit cooked us a full Irish breakfast in the morning and was able to help us with a laundry service as well. If we return to Galway, we'd defiitely stay here again. Situation commode pour rejoindre le centre de Galway. Contact assez impersonnel, dommage. Pas de point vraiment négatif, mais manque un peu de chaleur par rapport à d'autres B&B fréquentés. El B&B se encuentra a solo 10 minutos paseando del centro ciudad. estuvimos en habitación triple que era suficientemente amplia, cómoda y excelentes camas, todo muy limpio. El desayuno perfecto, los dueños preguntan que quieres y te lo hacen con toda amabilidad. Bridie es muy amable y pregunta constantemente si todo está bien. Recomiendo este b&b para todos los que vayan a Galway sin ninguna duda, por precio, ubicación, limpieza, comodidad y unos dueños encantadores. A tener en cuenta que solo se puede pagar en metálico. Bridie & Big George +little George are on the TOP of the B&B. Simple rooms near of Galway Center, without trafic. Bridie & George gave us many good ideas and addresses to maximize our pleasure in Galway. We can recommend this B&B. Easy to find, easy to park your car, quiet near the city center. Very friendly, warm welcome, very good Service. Very good location for Visitenkarte the city walking Distanzen into the centre but nevertheless quietscht at night. Very warm hospitality. Perfect breakfast. Our stay at Sli Na Mara was lovely. The location was perfect - a short walk to downtown Galway and Salthill Promenade. But what really stood out was Bridie, our host. She was kind, helpful and fun to chat with. She was very welcoming and cooks a very tasty breakfast. I should also mention that my husband and I are from the U.S. and don't really stay in B&Bs often. As such, they can sometimes feel a bit awkward. But we really felt right at home at Sli Na Mara! Very nice room and hosts. The location is great, because just 10min walk from city center. The breakfast was also nice. We had a good time at the Sli Na Mara. The room was a bit small and cramped, but the proprietor was friendly and cooked a nice breakfast. She was very accommodating with our travel needs. The location was great and very reasonably priced. The owners were lovely, accommodations were nice and clean, and breakfast was tasty. What a perfect stay in Galway. This B&B one of the best I have ever been. Our hosts, Bridie & George, were wonderful and we were very comfortable staying with them. Bridie had lots of suggestions for us as far as sightseeing, food and entertainment and we loved that we could walk easily into Galway. So nice to be able to park the car and leave it safely. Lovely, quiet, impeccably clean accommodations and a delicious breakfast to get us on our way each morning. A delightful family...thank you so much! We had a great stay in Sli Na Mara, everything was just perfect. Bridie and George were very helpful and friendly. 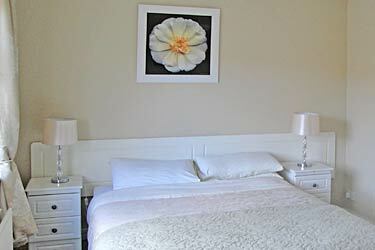 This was a very well kept B&B in a quiet, residential road a short walk from the city center. Our room was cozy, well-equipped and spotlessly clean - like the rest of the house. Bridie and George, our very friendly hosts, made us a lovely breakfast every day. We would love to spend more time in Galway, and will definitely consider staying at the Sli Na Mara B&B again. Owners very friendly and helpful. Gave us great tips on the local music scene and other activities. Food delicious. We stayed on the third floor, which has only one bedroom and bathroom so it was very private, like a suite. Location was good, not a far walk to downtown Galway where all the pubs, shopping were located but far enough away where it was quiet. Highly Recommend!! We were so pleased with our accommodation at Sli Na Mara in Galway. We chose it for the location, good value and becasue they has a room for 3 people. Although the cash only policy can be a a little less convenient, it was so worth it! Communication was excellent both in advance, during and after our stay. Bridie and George are very flexible, helpful and pleasant. The room and bathroom exceeded our expectations. Breakfast was tasty; it is served between 8:00 and 9:30 but that was no problem for our schedules. We left 2 items in our room which they graciously offered to post to us and followed through on that promptly. They are a busy family but did a great job with customer service.I have no reservations recommending this B &B.
Bridie was very accommodating. Liked the room. Very convenient to city centre. Would be nice to have bar soap in the bath. There was an incessant dog bark during the middle of one night but that was just a neighborhood dog, not the proprietors as far as I could tell. Ein sehr nettes B&B ! Bridie, die zusammen mit Thomas das Haus führt hat uns für unseren Abendausflug wertvolle Tipps gegeben. Auch das wir spät angereist sind am Abend nach 20.00 Uhr, war mit entsprechender vorheriger Ankündigung kein Problem. Das Frühstück war reichhaltig und gut. Gerne werden wir bei einem weiteren Aufenthalt in Galway wieder dort einchecken. Straight off, the hosts are wonderful and attentive. They have 2 small kids - who you only see or hear if you knock on their private door and catch a quick glimpse of. The price - amazingly low. The location - can't be beat - on a quiet street but easy stroll to city centre, laundry, grocery store, good restaurants. Parking was simple. The accommodation - a little bit of maintenance backlog but nothing - truly nothing - that would lessen your enjoyment of your stay. Galway was crowded with Easter break college kids we are in our 60s but the B&B was a quiet oasis. We loved our stay and you will too, I'd bet. A home away from home. I very much enjoyed my stay at Sli Na Mara. The couple who run it were friendly,helpful and knowledgeable about the area. They couldn't have made my stay pleasanter. Bridie was an excellent host. The B&B is located in a quiet residential area and a very short walk to Galway City Center. I enjoyed the proximity to a large city park. Room rate was very reasonable and breakfast great! The room I stayed in was small but perfect for 1 or 2 people and for the price, an excellent value. would definitely recommend. The B&B was very comfortable. The owner was very warm and welcoming. The location was great. Breakfast was outstanding! I had a great stay at Sli Na Mara. The place is run by a really nice couple. Really generous breakfast, close to city centre but in a silent neighbourhood and practically on the waterfront. The only thing to consider is that the room I've stayed in, wasn't big enough for two people to feel really comfortable, but otherwise the experience was good. A very comfortable property with a gregarious and helpful host. Pleasant chats with other guests at breakfast. The walk into town is pleasant, even in a downpour, and the seaside trail is lovely. Thank you, George, for the suggestion. Stayed for 3 nights at the end of July. Very accommodating owners and great location. Would stay there again. We thoroughly enjoyed this beautiful and idyllic B&B, it was truly a home away from home. Yes the location was perfect but what made this place perfect was the friendly hospitality and the warmth we received from the hosts. staying at Bridie and her familys house feels like being a guest in a friends home. A warmly welcoming place at a good location with a wonderful host and cooker Bridie. Thanks so much! Unfortunately, we only planned a one night stop in Galway staying at Sli Na Mara. The newly renovated B&B just sparkles. We stayed in the 3rd floor suite which was perfect for us and every amenity possible was offered. Our host, George, guided us through any number of evening hour possibilities we could experience along the nearby pedestrian promenade. The early morning ‘continental breakfast’ was way beyond our expectations in taste and variety. We would love to revisit Galway, and we most assuredly would stay at Sli Na Mara. Unfortunately, we only planned a one night stop in Galway staying at Sli Na Mara. The newly renovated B&B just sparkles. We stayed in the 3rd floor suite which was perfect for us and every amenity possible was offered. Our host, George, guided us through any number of evening hour possibilities we could experience along the nearby pedestrian promenade. The early morning ‘continental breakfast’ was way beyond our expectations in taste and variety. We would love to revisit Galway, and we most assuredly stay at Sli Na Mara. Excellent stay. Super modern and comfortable room, great location near centre and warm welcome from owner. Really recommend.